We’ve somehow acquired a record player. It was taken with vague permission from my partner’s mother during a recent visit to her home, along with a handful of old records that were unceremoniously slid into a plastic shopping bag. Included in this bag of musical wonders was Elvis, Ray Charles and some old classical music records. We had a great time that evening sifting through the records and playing each one in their entirety, savouring the unfamiliar tones and the wonderful novelty of the large, black circular wonders. This old medium of music has had something of a recent renaissance by people who revel in the gravelly sound of the tiny needle scraping through the perfectly punctured panels of vinyl. I’d argue that it’s the nostalgia that people crave; the memories of music being played by their parents or grandparents on huge record players that were features of the living room or kitchen. 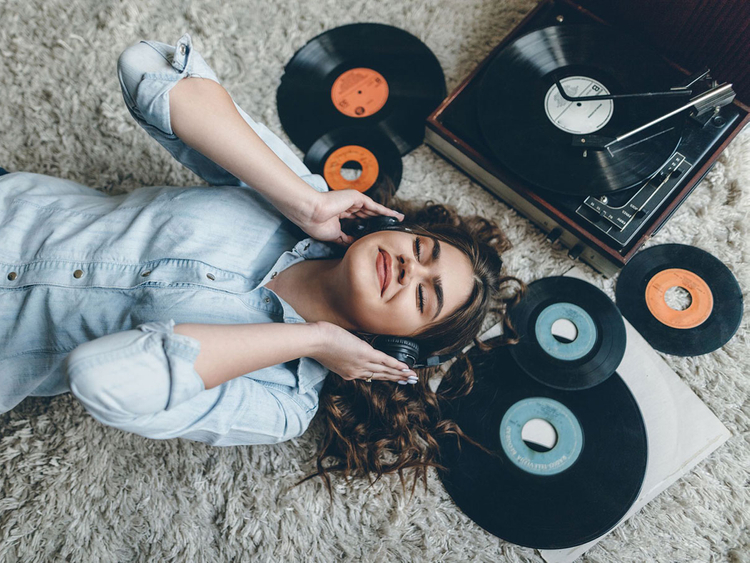 Yes, nostalgia must play a huge part in this appetite for past musical methods, but there is also the realness of the music that probably attracts people to vinyl. The thought of someone imagining the deft movement of the little needle on this magic material (polyvinyl chloride, for those interested) to make such sounds is alluring. Playing records harks back to the days of old and they have an earthy sound, maybe because it is made of actual stuff. Music today is mostly digital, a sanitised version of something that couldn’t be further from this. Music is made from the sounds of humanity, which is anything but sanitised. Yet, we’ve managed to make it such with sounds that come only from a synthetic source rather than from something that has been crafted for the express purpose of creating music. It is an expression of feeling that is as tangible as the soil and the rain. We had a great night of memories and the records were a joy to have, to hold and to hear. It’s easy to see why people get carried away in this form of music. We’ve now vowed to visit every charity and second-hand shop to find more of the treasures. They are available to buy in high-street music shops now and most mainstream artists’ albums have been converted to vinyl. This has opened up a whole new world of sound for people who like to pore over music and feel the ritualism of it all. It’s not so different from the Chinese and their extravagant tea-making rituals, with ceremonies that are performed with such care in homage to the hundreds of years of craft that went before, to create the special drink. I imagine it being much the same with a beloved album being heard on vinyl; the crisp album cover being opened and the wiping down of the record before placing it gently on the platter and carefully moving the needle to the beginning, making sure not to harm it in any way or overshoot the starting line. Who can say the same about listening to Spotify, iTunes or Tidal — music that is consumed so rapidly and dismissed so casually? The ritual of vinyl is one I could get used to and the sounds alone are worth exploring and drifting into during nights of discovering a new form of magic. It would seem I’ve become a vinyl convert. Viva la revolution!